Our organization is committed to offering optimum grade Wire Rope Cargo Lashing Service. We give prime importance to quality and make sure that all the products are packed using high-grade materials. 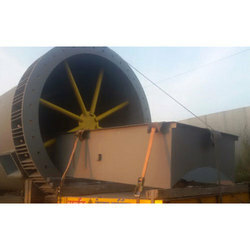 It is mainly used for heavy project cargoes, machine, boilers and another heavy over dimensional cargo and can secure maximum strength to the goods. Leveraging on the proficiency of our capable personnel, we are indulged in rendering Wire Rope Lashing Services. Owing to high demand, we render this service as per customer’s demand. In this service, we hired expert’s team who render this service in proficient way. We are presenting an excellent quality assortment of Wire Rope Lashing Service. 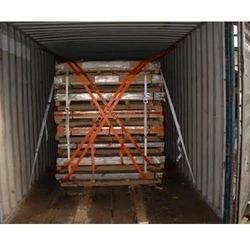 We have carved a niche amongst the most dominant names in this domain, involved in providing Wire Rope Lashing Service. Metal Straps are available in variable widths and thickness depending on cargo and gives reliable and maximum support, strength to the Cargo. Pressed steel wire rope lashing are available for any type of heavy cargoes in any shape and are used as per the cargo dimension and load capacity. It is mainly used for heavy project cargoes, machine, boilers and other heavy over dimensional cargo and can secure maximum strength to the goods.